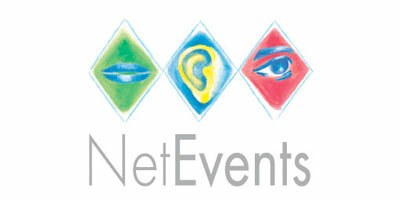 16 January 2013: Dan Pitt, Executive Director of the Open Networking Foundation (ONF), will for the first time, be addressing the NetEvents APAC summit on February 20, 2013 in Phuket, Thailand. Dan is one of the leading thinkers behind the SDN (Software-Defined Networking) revolution, so his “Insider Insights” on Why Service Providers should embrace SDN and the benefits this will bring to their customers will be among the Summit’s most eagerly anticipated sessions. Since last April – when NetEvents Hong Kong introduced SDN to leading press, analysts and vendors across the APAC region – interest in SDN and the OpenFlow protocol has exploded, becoming a key theme at Interop Tokyo 2012. According to the latest Forrester report, SDN will be the driving force behind many anticipated changes in the IT industry. SDN, it says: “…will become the defining architectural abstraction…over the next five years, if the supplying vendors fully implement the vision.” According to IDC’s Interop Las Vegas briefing, the SDN market could grow from just under $200 million in 2013 to $2 billion by 2016. Dan Pitt – with 20 years at the coalface developing networking architecture, technology, standards, and products – was one of the first to recognize the real potential of SDN and was recruited to lead the ONF from its launch in 2011. His experience includes work for IBM Networking Systems in North Carolina, IBM Research Zurich in Switzerland, Hewlett Packard Labs in Palo Alto, Bay Networks in Santa Clara, and Nortel’s Enterprise Solutions Technology Center – not to mention contributions to academia, including serving as dean of the school of engineering, and holder of the Sobrato Chair in Engineering, at Santa Clara University from 2002-2007. Dan will join a number of leading global industry players during this year’s NetEvents APAC Summit. These 2-day events, also held in the USA, EMEA and CALA regions, have become established as the key opportunity for tech industry leaders to spend quality time with a region’s key IT media gatekeepers.